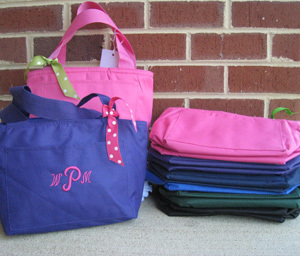 You will love our monogrammed lunch totes. This is a stylish way to pack and carry your lunch to the office or school. Aluminum foil insulated interior for easy clean up. 6 pack or great lunch cooler.